Roughly 5 percent of the Border Patrol’s officers are women, about the same as when Provost joined the agency 23 years ago. 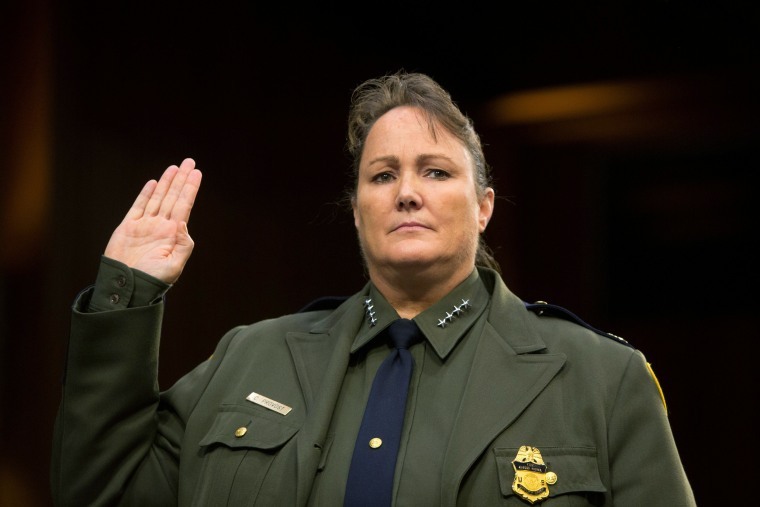 WASHINGTON — Carla Provost, a 23-year veteran of the U.S. Border Patrol, was officially appointed the agency's first female chief Thursday, more than a year after she was named acting chief. As for the challenges the agency faces, she said, "Border security is more than just what we do on the border every day." Supporting the men and women in the force requires closing "some of these loopholes that are drawing people to bring their families and their children in a very treacherous trip to come into this country." Roughly 5 percent of the Border Patrol’s officers are women, about the same as when she joined the agency. “I believe this will help,” Provost said about her appointment. She said the Border Patrol is undertaking targeted recruitment in an effort to bring in more women. After serving as a police officer in her native Kansas, Provost joined the Border Patrol in 1995, and has been posted in California, Arizona and Texas. President Donald Trump named her acting chief in April 2017.